Every so often we are contacted by major news outlets looking for rafting facts and general rafting information. So we thought why not compile a short blog post with some of our favourite white water rafting facts for all our blog readers to enjoy. Everyone loves some raft facts, not only are they interesting but they are also great to inspire folks to get into the outdoors and get you to give the fantastic sport of whitewater rafting a go. Here goes. Facts about white water rafting. Commercial rafting became popular in America in the 1960s and 1970s and from there spread all over the world and finally arriving in Scotland in the late 80s. Whitewater rafting has featured in the Olympics! Yes rafting was an Olympic sport. Rafting made its entrance into the Olympic Games in 1972. Rafting was held at the 1992 Barcelona Games, the 1996 Atlanta Games. Hopefully, rafting will be included in future Olympic events. The River Tay is not only Scotlands longest river but it is also Scotland’s most rafted river! The main section that sees white water action is between the town of Aberfeldy and the village of Grandtully. The section is around 6 miles long and has rapids up to class III. The River Tummel is one of Scotland’s most rafted rivers however it can only be rafted when the water is being released from the Dam upstream, the dam powers the Clunie power station. Another interesting fact about the River Tummel rafting is the that of Loch Faskally the Loch at the bottom of the river is man made! 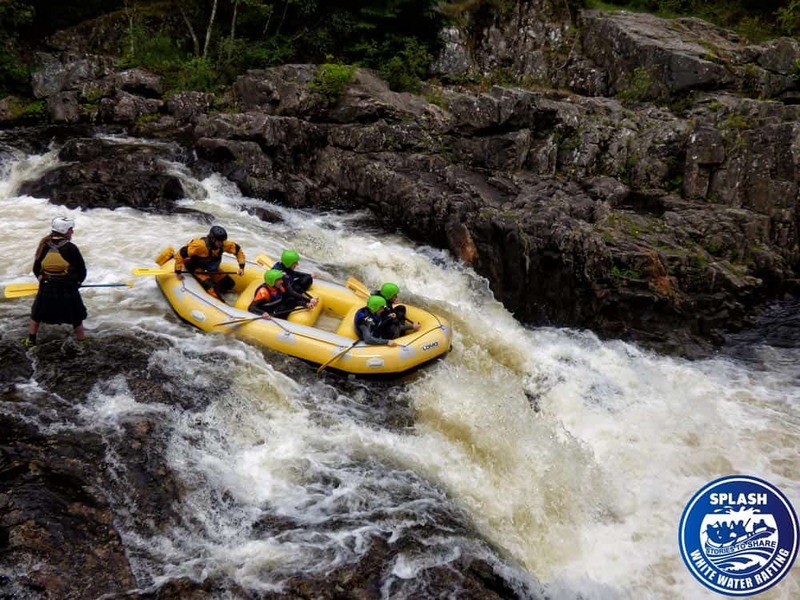 To book a white water rafting experience on the River Tay or River Tummel Check out their respective pages where you will find photos, videos, directions, prices and more.